How to look like a cool chick while you work out and soooooo gorgeous afterwards? 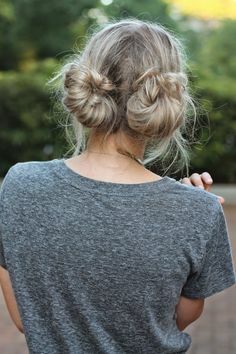 Do the double bun! Apply just a wee bit of a smoothing cream or a light gel. Twist each section and secure into buns at the nape of the neck. Post-workout, take down, untwist and finger comb for gorgeous waves.